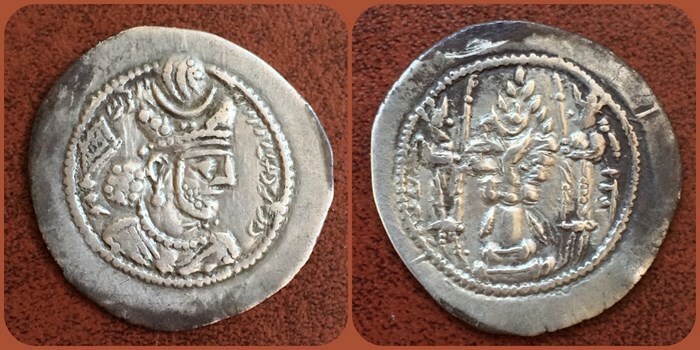 Sasanian Kings. Vahram (Bahram) V. AD 420-438. AR Drachm. Crowned bust right, Fire altar and ribbon, flanked by attendants; mint to right. SNS type Ia/2; Gobl type I/2; Paruck -; Saeedi -;. Good very fine.